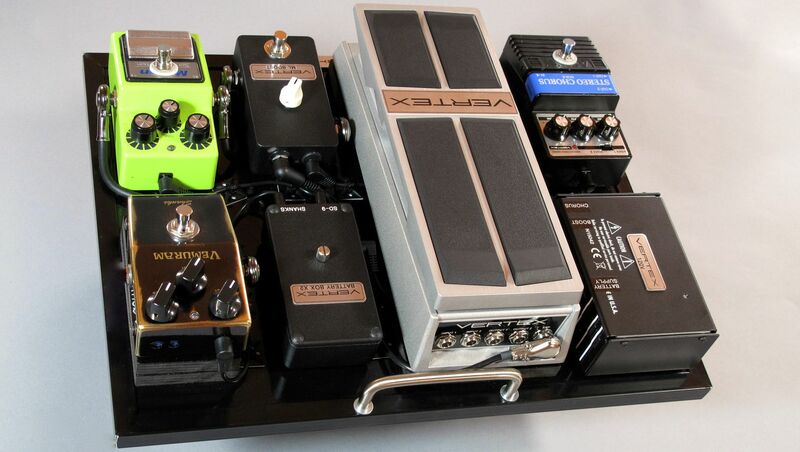 2 outputs each fed by 2 x 9V batteries and a separate relay powered by the main power supply to turn the batteries on/off. 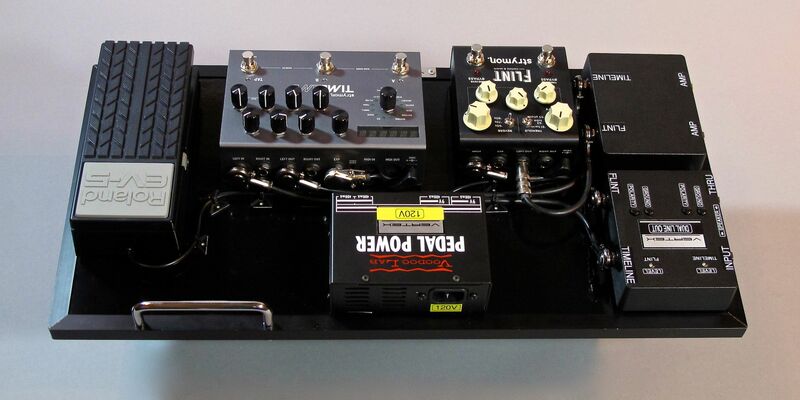 The batteries are only active when the entire pedalboard is powered "ON" at the main power supply so the batteries are not drained when not in use. I also added an on/off toggle switch as an additional safeguard to preserve battery life. 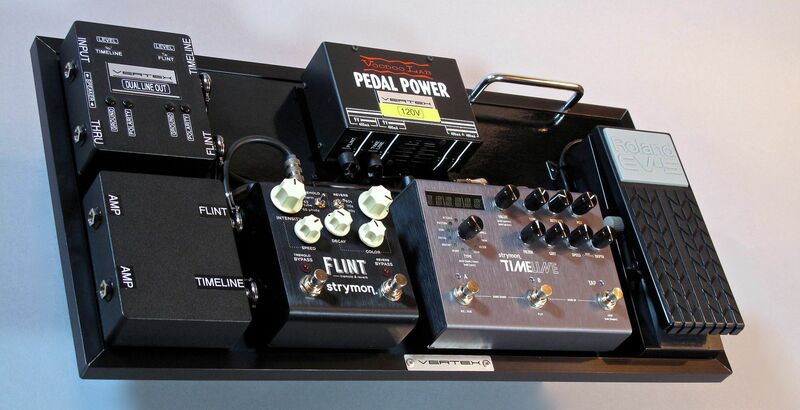 Output 1 (line out box) - Strymon Timeline Delay (returns to input on VIBRATO channel on blackface Fender amp), Output 2 (line out box)- Strymon Flint Reverb (returns to input on normal channel on blackface Fender amp). 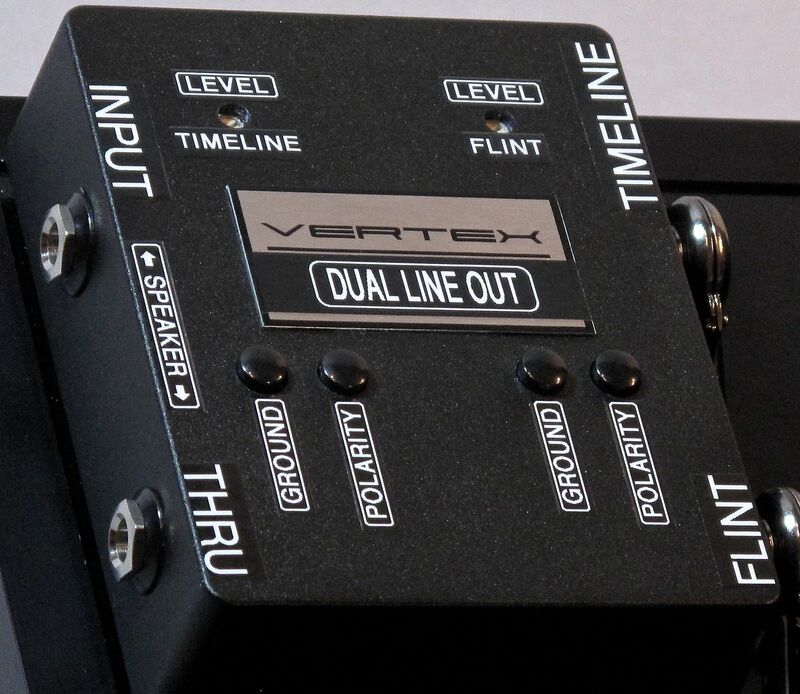 ***The Vertex Dual Line Out box is designed to function at instrument level, pairing both the Strymon Timeline and Strymon Flint with one Blackface Fender amplifier (i.e. 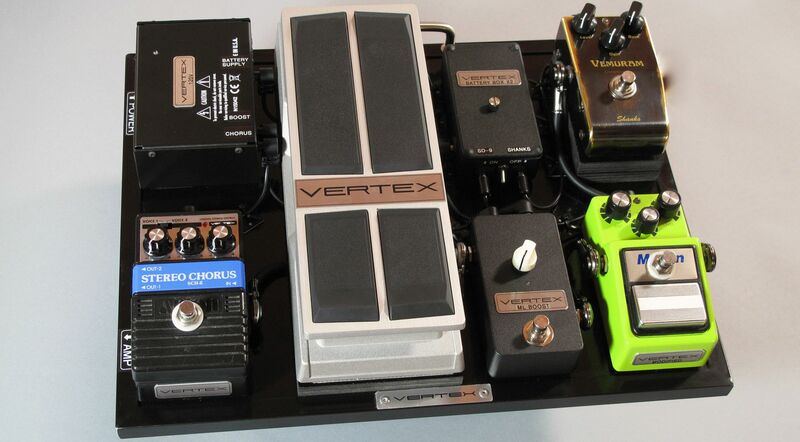 Deluxe Reverb, Pro Reverb, Super Reverb, or Twin Reverb). The Flint feeding the input of the NORMAL channel, while the Timeline feeds the input of the VIBRATO channel of the same amp.